Today I finally finish My Travel Book, A page in my blog where I put all the places I have visited. It consumed a huge amount of time, searching all the places in a large amount of photos in my hard drive. Finally I am getting married. My parents finally select someone for me and the 1st step have been taken. They went to my Father-in-law's house and put a ring to her finger. Her name is Yesmeen Sabina. She is an advocate. Please Pray for our prosperous future. As usual after a long time. I have a good news to share. On 27th January I have passed CCNP Switch exam. It was necessary because my CCNA certificate is about to expire. Happy new year. 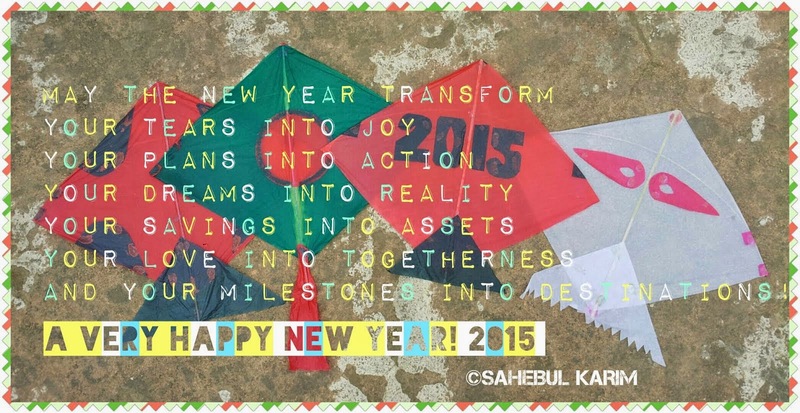 Hope this year will give me a new start in my life. Starting of this year is very good. Suddenly come in Bogra at Thursday 11th Dec. It's a good thing to change the work environment. Become bored with every day's 9 to 6 work. Though it's not a vacation still working here in my holly days. I wanted to enjoy the winter season in a cold place and Bogra is a so cold that I have to put 2 winter clothes in the day. Enjoying winter foods as well. Staying at Thanthonia bazar, hotel Chadni, near the police station. Really after long time I am writing here. Some important day passed away and I forgot to mention them. Finally I buy a domain name for my blog. Probable I bought it at 12.11.2014 by the help of Jakir. Days are passing very fast. I have no control in me and in my life. Just moving as required. I have a wish for a long time and I wanted to put it in my blog. I thing it's right time to write it down. If I die suddenly please donate all my money in a Moszid. I become irregular in my blog. For the last couple of months I am going through a lot of changes. New job, new challenge, new friends - colleagues making my life little unstable. After long time I am writing in my diary. Today I give farewell to my closest friend Zakir. He's going USA for hire study, MSC in information technology. Time teach me lots of important thing. Number one is no one will stay with you forever, you have to be on your own and you cannot blindly trust anybody. It's a big world and we are here for a short time and when you realize that you also realize one more thing in this short time we have to do a lot of work. It's not easy to be alive. May Allah help you in your new life. Because of some unknown reason I feel lost everyday in the morning while I wake up in the morning. Is it because I choose to stay in Bangladesh and my friends are leaving me? Taking a big decision is a big headache. Passing busy days ever since I have joined Huawei Telecom as Datacom Engineer. Year 2014 starts with a good news of my new job and also makes me confused me a lot with the opportunity of M.Sc in Estonia. I wanted to go there for M.Sc in Cyber Security but getting new job changed my decision. Don't know what will come in future but for the time being I am feeling proud as a Datacom Engineer in Huawei. Oh! my joining date is 12.01.2014. Today the 10th national election held and it is not a fair election. None of our family member vote in this election. Maybe only 10% people voted in this election. I thought if I want something too badly Allah will listen to me. HE will help me some how. But I was wrong. I did lot's of wrong thing in my life and I get the punishment. I am not strong enough to bear such a big punishment. There is no pain bigger than broken heart & lost hope. My cousin Diana got married on 02.10.13 with Mr. Tanvir. It's a great news that brings a lot of happiness to all of us. Arrange marriage is a big decision and a great pain. But by the grace of almighty Allah we finished the ceremony successfully. I pray for them and I hope they will become happy in their married life. Next week from Sunday I am going Rangamati, Khagrachori and Bandarban. If possible we will see Nilgiri. Permission required - We are trying to get it. It will be a blast. 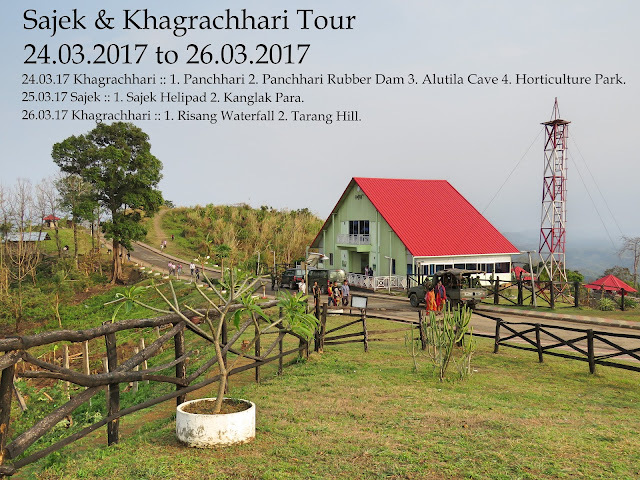 Dying to see those beautiful places specially Khagrachori and Nilgiri. Passing very busy day. Our JICA project running in a very good speed. I have no time for facebook. No time for blogging. Now we are doing site survey. Next week I will go to Chittagong. Probably I will stay there for a week. I forgot to mention that I got my facebook back after confirming my identity by passport verification. It's a big relief. Thanks Allah. What a joke? My facebook account has been disabled today without any warning. I have no clue why they do it and for what reason? I have limited friends and I was not involved in any type of spamming. They are saying it's a fake account while I had provided all the necessary information in my facebook. It was a part of my life and now I am totally lost. Today is the Eid day. Eid-ul-Fitar. As usual we went to the National Eid Gha for prayer. Now I have all the day left but I don't have any plane. Today we get our new project. Officially signed. It's called "Telecommunication Network Development Project (TNDP)". It's huge project and by this project KT survives in Bangladesh for the next 3-4 years. Congratulations KT. Yesterday I saw an amazing movie. After watching it I give this status in my Facebook “I love to watch movies. If someone recommend me any movie, I must have to see that movie. Love to see the best movies alone and while watching it I completely go inside the movie. It's like feeling others life - realizing their pain and sharing their happiness. Sometimes I cry. The emotion stays with me a long time”. Raanjhanaa is such a movie. After Jab We Met and Barfi this is a masterpiece no doubt. Simple love story ended in a tragic way that no one could imagine. Everyone acts very well. Story line is awesome and it will keep you surprising all the time. 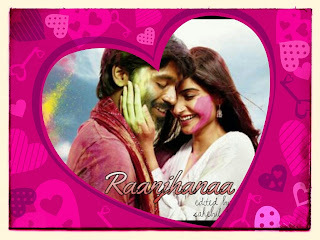 Story writer Himanshu Sharma, Director Aanand Rai did a great job and Music by the boss A. R. Rahman. Today is the birthday of my dear friend. I wish her and make a birthday present for her. God bless you. After office when I am on the way back to my home I meet a honest Rickshaw puller. I am shocked when he refuse to take extra money that I was trying to give him. Other rickshaw requesting 40 to 50 taka while he demanded only 30. I give him 35 and he refuse to take that. May Allah fulfill all his dreams. It's raining continuously from the morning. I'm feeling empty inside me. Shocked by the change of my life. Passing the hottest season of my life. It's 30 to 32 degree at night. Morning 32 to 36 degree even more. How could people survive? Moreover everyday I have to face serious traffic jam. If I start 6 pm from office, I reach my home at 8 / 8.30 pm. Almost boiled everyday. Live in Dhaka is a nightmare. Things are not getting right around me. Everything is getting cracked. Miss my old days. Today I watch Iron Man 3 in 3D with my cousin Diana. I am a huge fan of it. Surprised by the outcome of Pepper Potts and feel sad for the Tony Stark that he has to give up his power source. Eagerly waiting for the next part to see what he will do to survive. Now he has a super woman beside him instead of an ordinary wife. I feel sorry for Mohammad Asraful. I reckon he deserves minimum punishment. He feels bad and say sorry to the people of his country. Match fixing becomes common in cricket. It’s now intensely related to all kinds of cricket. Asraful just a victim of this situation. As he has the courage to give a statement and he shows guts by saying sorry, I am on his side. Remember corruption becomes a part of our life and we don’t have the culture of feeling guilty about what we did. We need to change this culture and Asraful can be a good example of this change. It's a special month for me. Waiting for 30th June. Waiting for something is not a big deal for me. I have enough patients. A few hours ago I went to our roof top and took an awesome picture. Little help from the Instagram and here is the result. I am still not a professional photographer. My photography starts with my job and extended when I bought a Samsung Galaxy S2. Now using Galaxy Note. These devices are awesome. I use lots of apps to give my image a better look. The best part of being lonely is you can concentrate on other works. In my case it’s photography, image editing, blogging and traveling. For some unknown reason sky-blue becomes my favorite color. You will see this color all over in my blog. Today I am seriously sick. I have viral fever and cold. Feeling pain in my head and eye. I am grateful to my parents for their concern. Already take medicine. Miss my office. It's a rainy day also Thursday (Friday & Saturday holiday). Taking sick leave on Thursday looks little odd. Office members may not believe my reason. I also feel sorry for taking a sick leave at an odd time. Since yesterday I slept a lot. Now trying to keep me up by writing blogs, chatting with friends and browsing Facebook. This is my office desk. Today I have got new vertical blind beside my desk. Feeling good as like after joining a new office I get a new desk. I have been working here for four years. It becomes my second home. I really enjoy working here.